Colorado Supreme Court Justice Gregory Hobbs announced last week that he would retire from the court effective 31 August 2015. The Colorado Supreme Court Nominating Commission will meet June 8 and 9, 2015, at the Ralph L. Carr Colorado Judicial Center (2 E. 14th Ave., Denver, CO 80203) to interview candidates and select nominees for appointment by the governor to the Colorado Supreme Court. 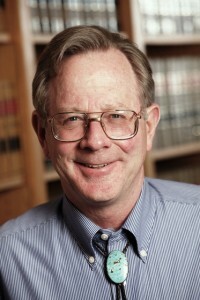 Justice Hobbs has served on the Colorado Supreme Court for 19 years; originally appointed in 1996 by Democrat Governor Roy Romer, he was last retained in office in 2008 and would have been next subject to a retention election in 2018 (Colorado Supreme Court Justice terms are for ten years, except for their first “probationary” term of 2+ years until the next election). Justice Hobbs was widely recognized as an authority on water rights law in Colorado and nationally; so much so, in fact, that former gubernatorial candidate Scott McInnis was accused of plagiarizing a substantial portion of a “public policy study” (for which he was paid $300,000) from work previously published by Hobbs. To be eligible for appointment to fill the vacancy, the applicant must be a qualified elector of the State of Colorado and must have been admitted to the practice of law in Colorado for five years. The current annual salary for this position is $157,710. The initial term of office of a Supreme Court justice is a provisional term of two years; thereafter, the incumbent justice, if retained by the voters, has a term of 10 years. Application forms are available from the office of the ex officio chair of the nominating commission, Chief Justice Nancy E. Rice, or from the Supreme Court Clerk, Christopher T. Ryan, 2 E. 14th Ave. Denver, CO 80203. Applications also are available online on the court’s website.